Bigger Promos, New Services To Make You Feel Smart Love! Yesterday was fun! I was there front and center as our friends from Smart unveiled BIGGER and MORE REWARDING promos for their subscribers. 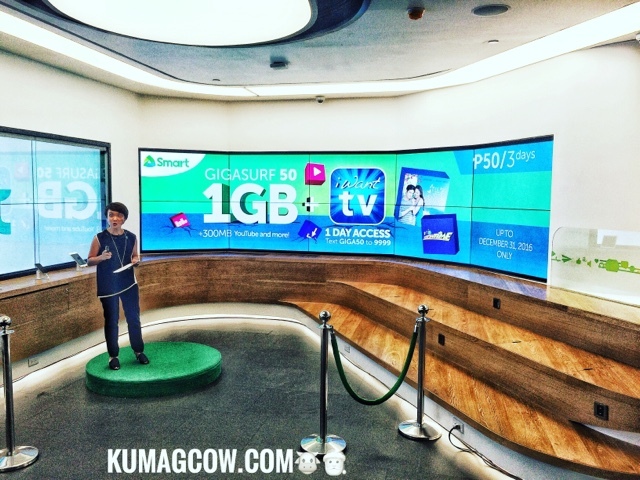 Their goal is to empower subscribers with an even better digital lifestyle so they started by giving out BIGGER data and allocation this month and onwards! Ms. Kat Luna Abelarde started by taking bigger and better data packages plus stronger partnerships with device makers and content providers. They now have GIGA PLANS. They also have a partnership with PayMaya, so you can turn those smart phones of yours into wallet. It's digital and you can now pay merchants, buy load, even pay utilities and leading brands using just an app on your phone without the hassle of banking requirements. You should download the PayMaya app now! This goes the same with games, movies, even music PLUS ABSCBN's iWantTV. Now you can watch shows at the comfort of your home anytime of the day because you can get FREE 1GB of it on your app even if you're in SMART. I hear Jadine fans rejoicing! For those who want PayMaya, they've got the SMART MASTERCARD virtual credit card via PayMaya. You can do this in Android or iOS. Just your name, last name, mobile number and email address. You get perks if you use a smart mobile number. Isn't that GREAT NEWS!? If you want more on your data plan, SMART has increased it 10X with this one! Now there's no more reason not to binge watch on iFlix, Youtube or other streaming sites! In order to cater to those who always travel, they've got the new Smart Chat Abroad and Smart World Travel Wifi that can get you enjoy internet connection in over 130 countries for only Php 399 per day. The device can be also delivered for free if you are in Metro Manila so if you are traveling sometime soon, you will definitely get the convenience you deserve with this device! 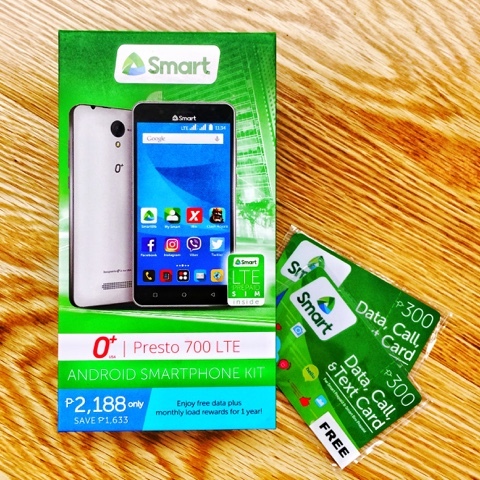 They also launched this new O+ Presto 700 LTE Prepaid Phone Package which you can now purchase at Smart Stores for only Php 2,188 that also comes with FREE 600 data call and text cards plus free data monthly for 1 year. Now isn't that just crazy? Now how's that for SMART LOVE!